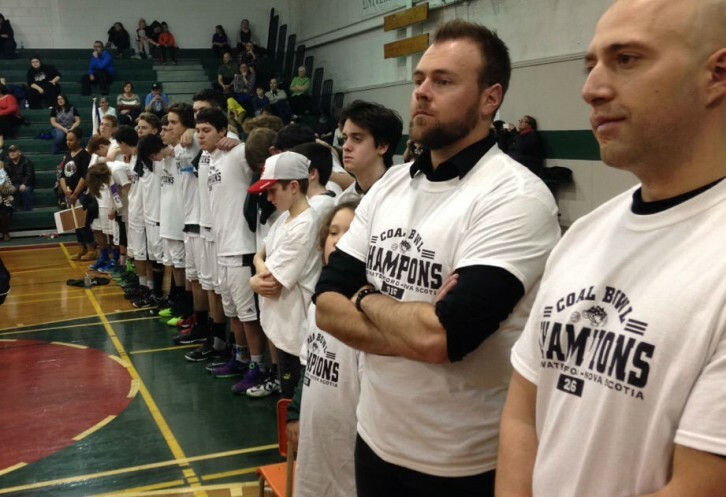 The Breton Education Centre Bears defeated the D’Arcy McGee Gee Gees 68-45 in the championship game. For most places in Canada, the first week of February means the winds of winter are at their most intense. But in New Waterford, N.S., it may be the most lively week of the year. 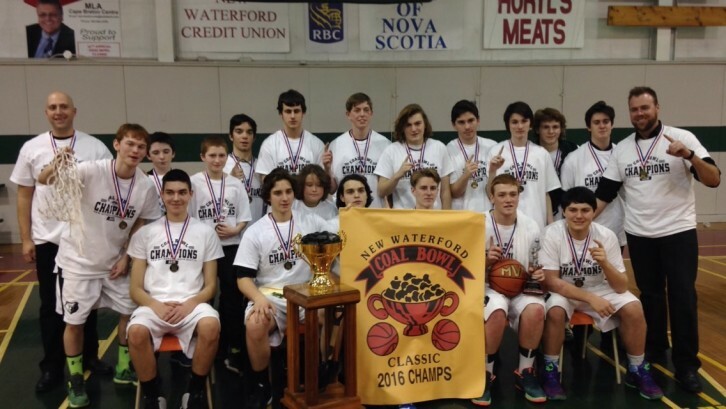 The 35th instalment of the New Waterford Coal Bowl Classic wrapped up Saturday afternoon at Breton Education Centre gym. 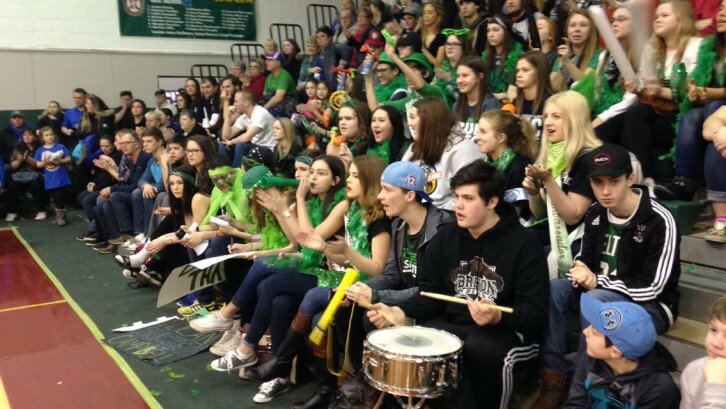 A crowd of approximately 1,000 fans pack the gym from Monday to Saturday every year to support the hometown Bears in the national high school basketball tournament. Unfortunately, the hometown Bears have only treated the fans to one Coal Bowl victory since 1982 (they won in 2009) …until this weekend. Once Kickstart My Heart started playing and the Bears dashed through the paper to warm-up for the championship game, they didn’t look back. Both the Bears and the D’Arcy McGee Gee Gees out of Gatineau were undefeated in the tournament entering Saturday’s championship final. The Bears trailed in the first quarter but went on a run backed by several Blair MacIsaac three-pointers to give BEC the lead. The home team didn’t look back from there and rode a run at the beginning of the second half to record a 68-45 win. 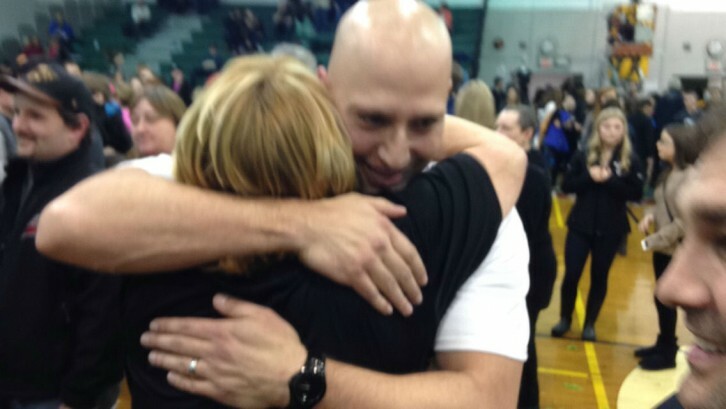 “It means everything for these guys,” Bears head coach Jean-Guy Demeter said. Blair MacIsaac had a game-high 20 points after netting five threes for the Bears. 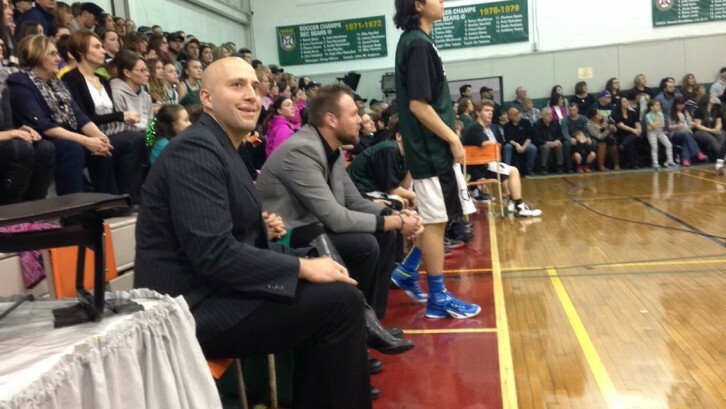 Grade 12 student Gary MacDonald also contributed 17 points for the Bears while Jacob MacNeil had 11 points. Meanwhile, Hisham Saleh led the way for the Gee Gees with 13 points. Demeter has been coaching the Bears for seven years, but this is his first Coal Bowl win as the head coach. Every year, the Coal Bowl brings the old and young from New Waterford together. Demeter says it means a lot to win for the fans. Gary MacDonald took home the tournament MVP, while MacNeil and MacIsaac were named first and second team all-stars respectively. MacDonald said every basketball player growing up in New Waterford dreams of winning the Coal Bowl. 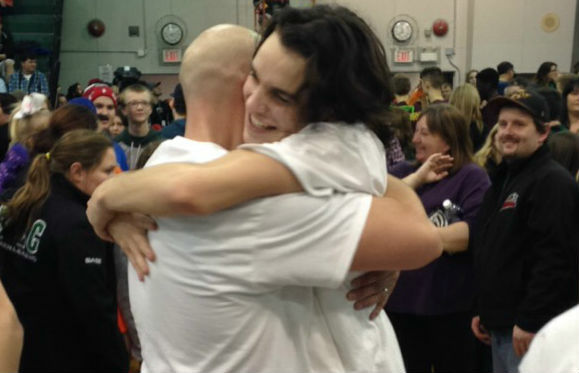 “It means the world to me,” MacDonald said. Dylan Messervey, a forward for the Bears, struggled to put the experience into words. Demeter was hesitant to take any credit for the win, citing how hard the players worked over the week. “I’m super proud of these guys,” he said. The Bears bench awaits the championship game during the Pharmasave 3-Point Contest. Students at BEC form a “ZuKru” to rally the crowd during the game. 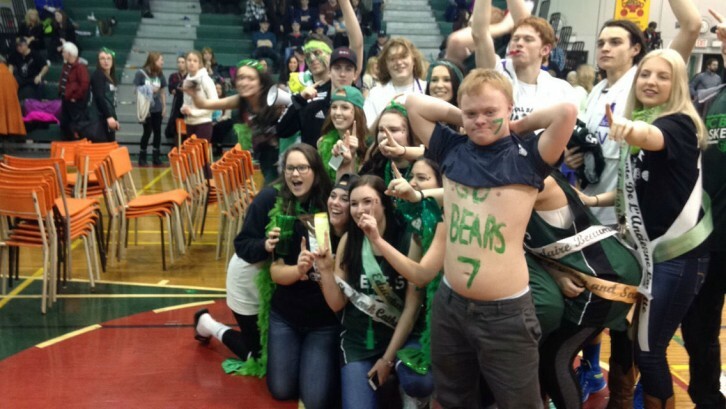 Bears grade 12 Jeff MacEachern celebrates after winning the Coal Bowl. The ZuKru celebrates–including Blair MacIsaac’s twin brother Ian flashing his brother’s number 7. Jean-Guy Demeter is congratulated for winning his first Coal Bowl as head coach. 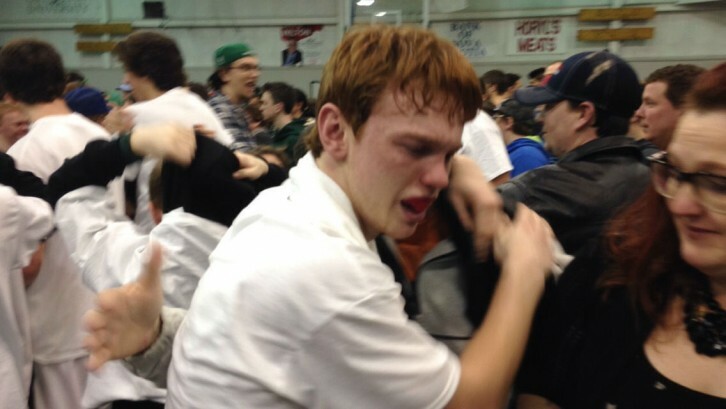 Demeter and Grade 12 player Nolan Campbell hug it out after the win. The Bears listening to a rendition of Cape Breton’s anthem, “The Island”, during the closing ceremonies. 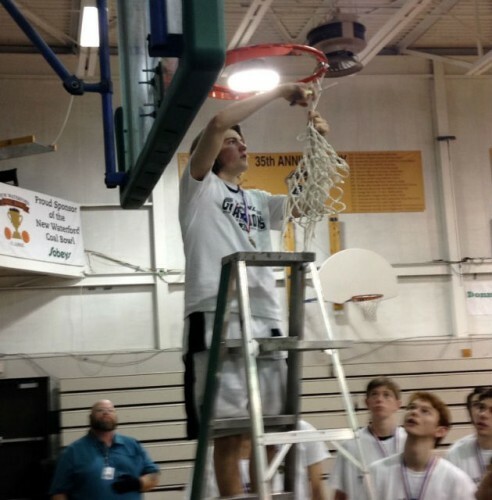 Bears point guard Jacob MacNeil carries on a basketball tradition by cutting down the mesh after the game.